Pantua is the Bengali version of famous Indian sweet Gulab Jamun. Soft dumplings are deep fried in Ghee and the soaked in sugar syrup. 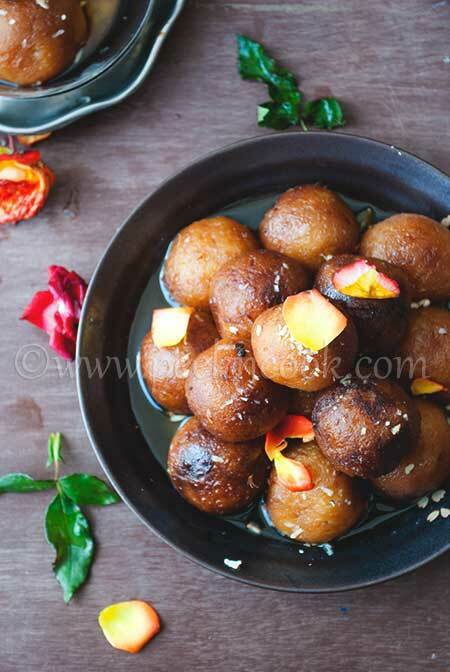 Today I'm going to share the recipe of Rangalur Pantua, that means Sweet Potato Gulab Jamun. In this recipe, boiled sweet potatoes will be used instead of Paneer. This way my Grand mom used to make Pantuas at home during winter. Christmas is about to come, it's just 2 weeks away. So baking mode is on. Almost everyday I'm baking some goodies. Either it's cake or cookies or savory goodies. I love to gift my friends, relatives, my maid all homemade goodies. So my father. He every year makes almost 12 to 15 cakes and distribute them among friends/relatives/maids. !5 days before Christmas he goes to New Market for the baking items. I'm a fish lover Bengali(I don't like the word Bong, in fact there is no such word in Dictionary). Whenever I find fish in menu, I become happy. And this is so obvious, we Bengalies are true fish lovers. That's why we are called 'Mache Bhate Bangali'. In my kitchen you can find one must item that s fish. And for a true Bengali nothing can be more comforting than 'Bhat ar Pona Macher Jhol'. This is a drink mix, may or may not add any alcohol, made with watermelon, lychee juice & ginger ale. 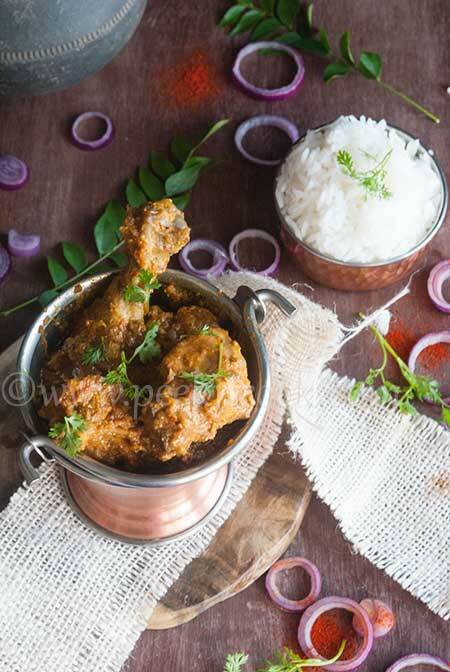 Hey it''s Diwali guys, just in 2 days, how can I share any other recipe. So here is my Diwali special Cookies recipe, which is kids'' friendly and very easy to make. 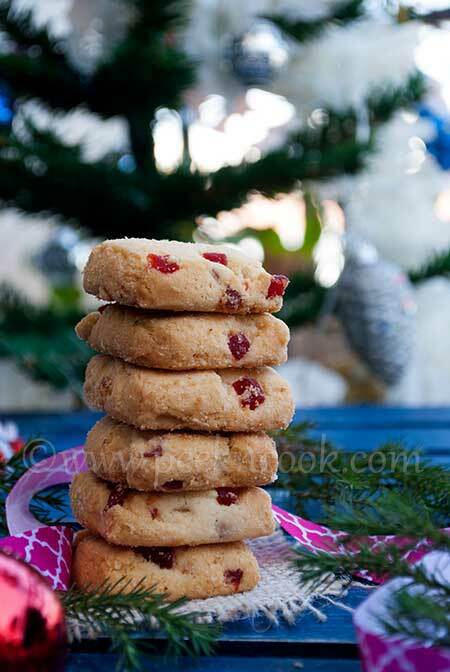 You need butter, a handful of Almond, Atta(wheat flour), sugar that''s it. It''ll take 1 hour from start to end. In recent days I''m making all Kids'' friendly recipe as my 1 year old boy wants to eat anything from my hand. Chikoo is a famous fruit of summer, this also known as Sapota Or Sobeda in the different region in India. This fruit can be used as it is or in the milkshake or in fruit salad etc. This Milkshake is very common and very Popular one with two most flavorfull fruits Strawberry & Banana. Very much stomach filling and tasty Milkshake. Stuffed Peppers is one of several stuffed vegetable (Bharvan subji) dishes. Most of the kids do not like to eat fruits. So here I have made a banana dish with little twist which kids may like to have as breakfast. Pineapple blast is a very easy and Chat pata recipe recipe to make. Very healthy too. Hyper Local is on the 3rd or Top Floor of SLN Terminus, Gachibowli, just next to Platinum Cinemas. The place is located in a good, open area and has both indoor and outdoor sittings to offer. And if you go there before Sunset, you can enjoy the dawn. The Ambiance is pretty good, with Full Bar, Nightlife, Live Music, Private Dining Area Available, Wi-Fi, Live Sports Screening, Indoor Seating, Smoking Area and Buffet. Rajdhani is a pretty famous vegetarian chain restaurant. Like every year they've organised Aamlicious from 12th April To 31st May 2019. From 20 types of Mango infused dishes, 7 - 8 types of Mango dishes are served on rotational basis for every meal. A land of golden beaches and sparkling sea, Goa is synonymous with a lazy, relaxing holiday. But at the same time, this Konkan state is also one of the biggest party destinations in the country. With late-hours shacks, pubs, and clubs, groovy music, bustling casinos, and boat parties, Goa offers a nightlife to reckon with. Irrespective of your age, social status, or lifestyle choices, each and every party destination here caters to everyone under the sun. Bird watching is a very real hobby that a lot of people have cultivated. For some, it is casual and only amounts to the occasional photo. But, for others, it is of a more serious nature resulting in a detailed description of each bird that they see and even traveling long distances to see exotic birds. Being a blogger, I do product reviews side by side of developing recipes. It's being 4 years I'm collaborating with renowned brands, reviewing their products, foodstyling with their products. Recently I've come accross the CIBA GROUP / CIBA MASALA UDYOG & collaborated with them. The company basically works as a spice company named CIBA TAAZA SPICES. It's not being easy to be impressed with all brands whom you're collaborating. But we still have to do a possitive review, but this Ciba Groups are really a genuine brand which can make you impressed by their flavoreful spices. A brand with a dream to conquer the entire food base of India comes with some best quality spice mixes. 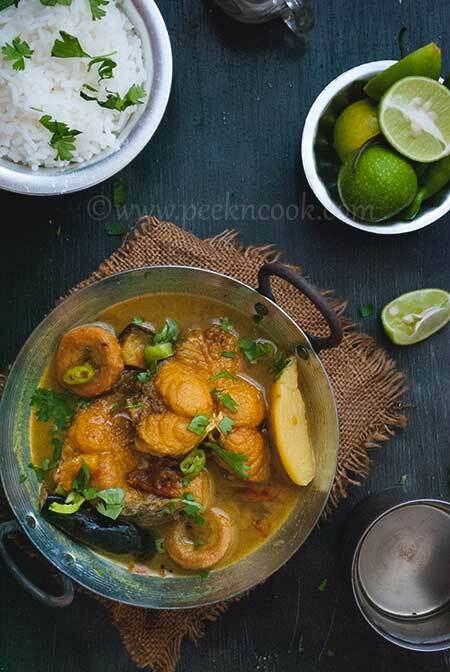 On almost every Sunday runny Mutton curry aka Panthar mangsher jhol is a must item of a lavish menu. Bengali vegetarian dishes are cooked without onion & garlic. There should be dal, sabji, chatni etc.